Pacific Rim: Uprising aims to raise the stakes for Gypsy Avenger and crew significantly, partly accomplished by some powerful new Kaiju. The first film's Kaiju were already immense, so the scale isn't something that can necessarily be improved upon. That means the studio had to lean on creativity and unique abilities, and visual effects supervisor Peter Chiang thinks they succeeded with new creations like Raijin, Hakuja, and Shrikethorn (via Empire). The most powerful of the bunch is Raijin, a category 5 Kaiju. 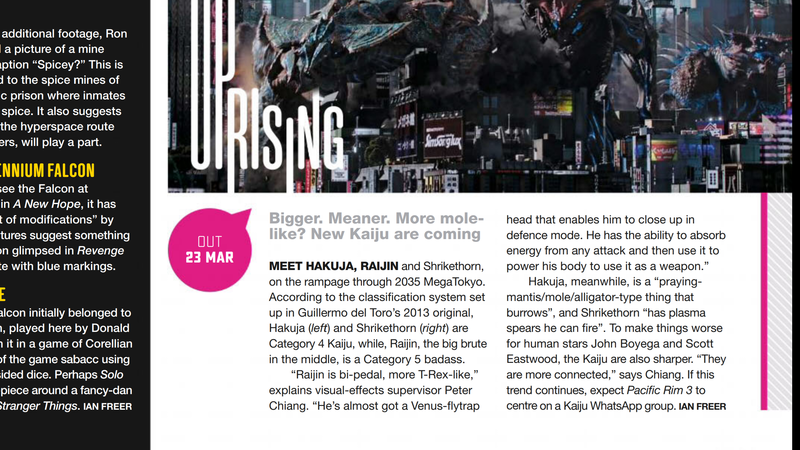 "Raijin is bi-pedal, more T-Rex-like," Chiang said. "He's almost got a Venus-flytrap head that enables him to close up in defense mode. He has the ability to absorb energy from any attack and then use it to power his body to use it as a weapon." Both Hakuja and Shrikethorn are category 4's, but that doesn't mean they are creatures to mess around with. As for Hakuja, Chiang describes it as a "praying-mantis/mole/alligator-type thing that burrows", while Shrikethorn "has plasma spears he can fire". The Kaiji boast plenty of added power, but their greatest new asset might be their ability to strategize, as Chiang teases "They are more connected" this time around. Uprising might not have the same creative team attached, but director Steven S. DeKnight explained Uprising does place significant importance on the first film. "(We want) to take the first movie and expand upon it," he said. "Most specifically, look at the first movie and really talk about if you want to wipe out humanity and your throwing giant monsters at them -- which is a little tough to wipe everyone out -- so was that the full plan? Was there another component to it? That was our big jumping off point of focus." Pacific Rim: Uprising currently enjoys a 3.58 out of 5 on ComicBook.com's anticipation rankings, which you can vote in here. 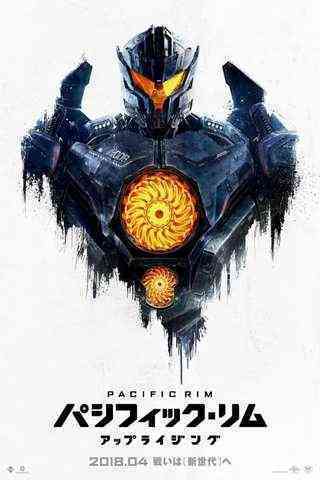 Pacific Rim: Uprising will storm into theaters on March 23, 2018.